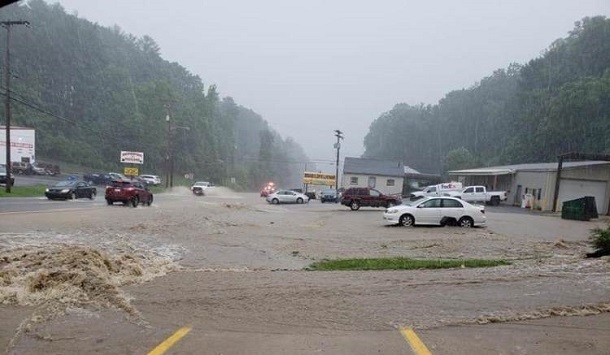 For as long as City Manager Kim Haws can remember, he along with other officials in Bridgeport have tried every avenue to get the West Virginia Division of Highways to address flooding issues on U.S. Route 50. In particular, the section of Route 50 from the entrance to the Home Depot Plaza all the way to the area of the old Ace Hardware. “I don’t know how long it goes back trying to get the DOH involved, but it’s a long time. Flooding issues have been a problem for as long as I can remember in that area and we’ve had incidents in recent years that would lead one to believe they’re getting worse,” said Haws. City Engineer Beth Fox said the answer to that question is known. And it’s known by the city and the WVDOH. “The issue of flooding in that area down Route 50 is that the water is not traveling the path it’s intended to travel. The biggest culprit is there is a collapsed pipe under Route 50 by Home Depot and it’s not taking water,” said Fox. 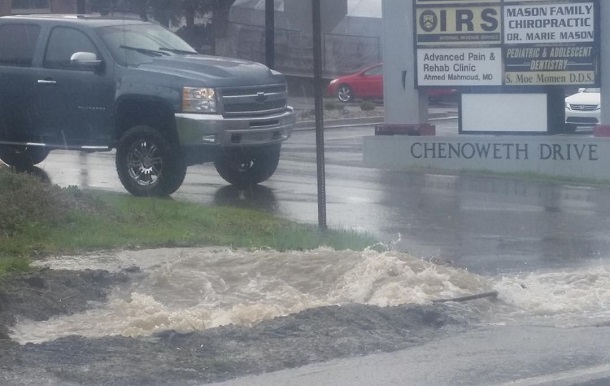 “The impact is tremendous down Route 50 in the business areas because with that issue the existing drainage left to handle the water isn’t sized accordingly for the water volume and the speed it arrives in just about any heavy rain situation. There probably wouldn’t be any argument on it needing resolved from the business owners down Route 50. 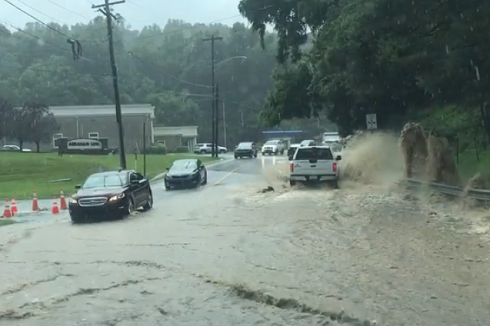 A reminder of just how bad the situation can become on June 22 of last year when two inches of rain in a short period of time turned Route 50 from Wilson Martino Dental to the area past the Bridgeport Municipal Building – and the businesses surrounding them – into a small flash flood across the roadway. 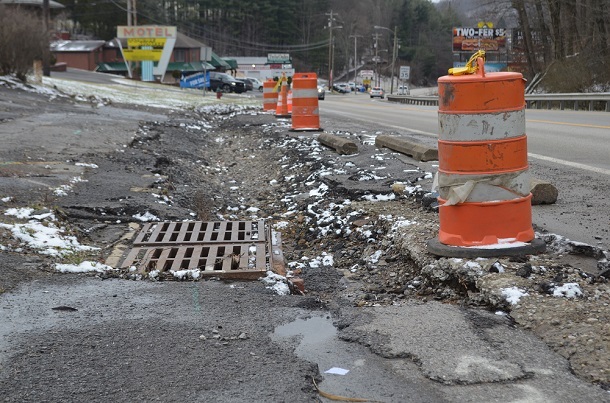 Whether it was that meeting, other inquiries from the city or even calls and complaints by residents to the WVDOH or their elected delegates and senators, something happened recently. And Haws and Fox believe it’s very likely the first step to get the problem fixed. Fox, who is in regular contact with the WVDOH on this issue and multiple others, said it’s actually begun. Or at least that’s what she believes from information she’s been told. “I have been told they have sized the pipe that needs to be replaced at the entrance area of Home Depot,” said Fox. “That may be the first movement we’ve seen to replace that pipe, but we also need to look at retention systems in the same area, so we have a controlled release instead of an all-out flooding situation. The problems are not only under Route 50, but are visible above. Exposed drainage pipes can be seen in front of the former site of the Tom Davis Garden Center. Fox said it's the result of too much pressure in pipes not being able to handle the amount of water they recieve. "That's what the water can do when it has that much force behind it," she said. While frustrated with the situation, Haws said he knows the Division of Highways isn’t necessarily able to address the issues before it. He said it’s a matter of having too many problems and not enough resources. “There are drainage issues all over the county and all over the state. I recognize, and the city recognizes the DOH has to set priorities and this may not be a top priority,” said Haws. “We’re frustrated but being in government so long you understand the situation of having limited resources and manpower and going to more pressing concerns first. That could be good news for the city, businesses, travelers and even the perception of Bridgeport. Despite Route 50 being a state road, when flooding hits on it Haws said the city usually gets hammered with calls and complaints. And he said the city, representing its residents, forwards them to the state and often addresses the same concerns with the same officials at the DOH. “There’s no question who gets blamed and we get call after call. The incident last year was overwhelming,” said Haws. “On top of that and of biggest concern, is it’s a safety issue and an issue involving destruction of property. We hope the study will move this along and the fact we continue to offer to participate in the solution with our own resources that we may have available gets us on the right path. 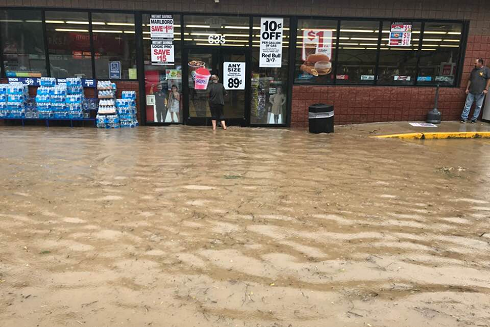 Editor's Note: The first, second and bottom photo show flooding during last June's storm that produced two inches of rain in less than an hour. The third photo shows drainage damage in front of the former Tom Davis Garden Center site, while a drain is overwhelmed during a heavy, but not significant, rain event in recent years in front of Wilson Martino Dental.